Most minor burns will heal on their own, however more severe injuries require quick-acting first aid measures before evaluation from a medical professional. 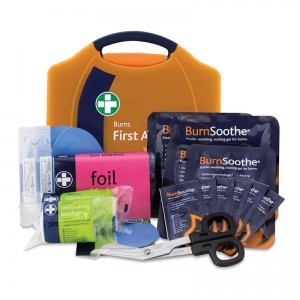 The Burns First Aid Kit presents you with a range of materials that are effective in taking care of burns. The highly visible orange case is constructed from durable polypropylene and is lightweight for easy transportation during emergency situations. 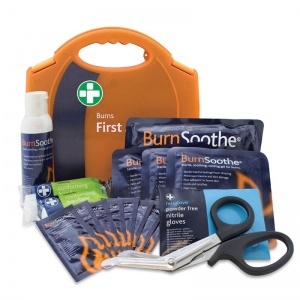 The kit provides fast and effective treatment for burns, scalds and even sunburn wherever burns present a hazard, allowing treatment to be issued from the office, kitchen or home. 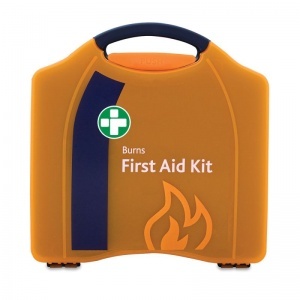 This burns emergency kit meets the guidelines set out by the Health and Safety Executive. It comes in two different styles: the original Integral Aura Case (which includes an integral bracket) and the recently updated Compact Aura case. The Burns First Aid Kit is usually dispatched via First Class Royal Mail and delivery should be within 1 to 3 working days.